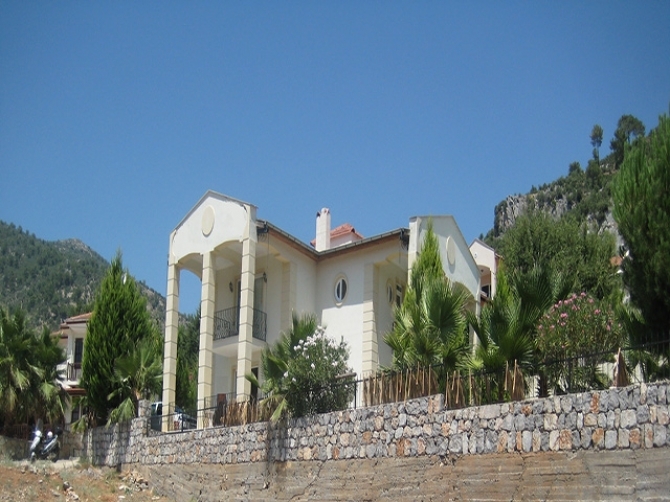 This is a spacious villa with 3 large bedrooms and stunning views of the mountains and valley from the balconies and sun terrace. 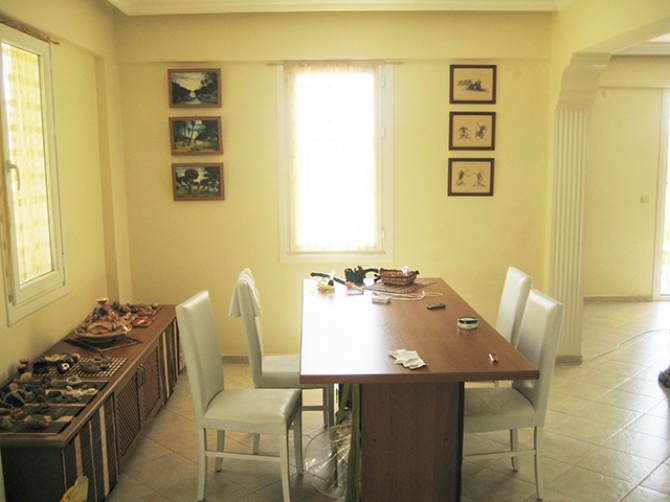 The property opens into small landing which leads to the open planned kitchen and lounge. 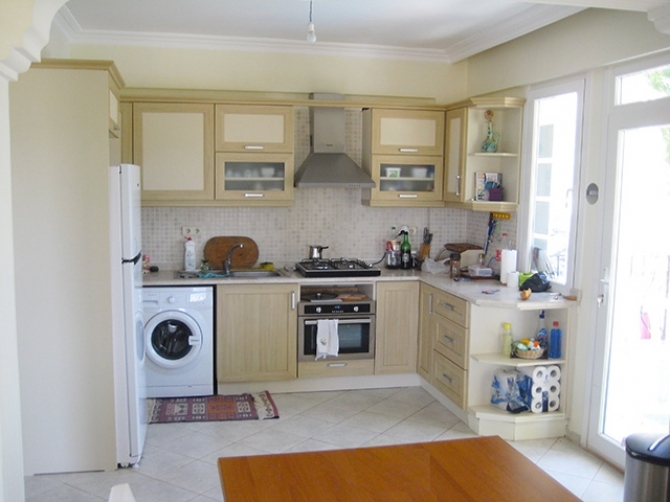 The kitchen is of a good size and has plenty marble worktop space. The Lounge has a granite open fireplace. From the lounge and kitchen you have access to the terrace which leads down to the sun terrace and swimming pool. The bedrooms 3 double bedrooms are all on the first floor, with one master bedroom with en suite bathroom fitted with a corner shower and private balcony. 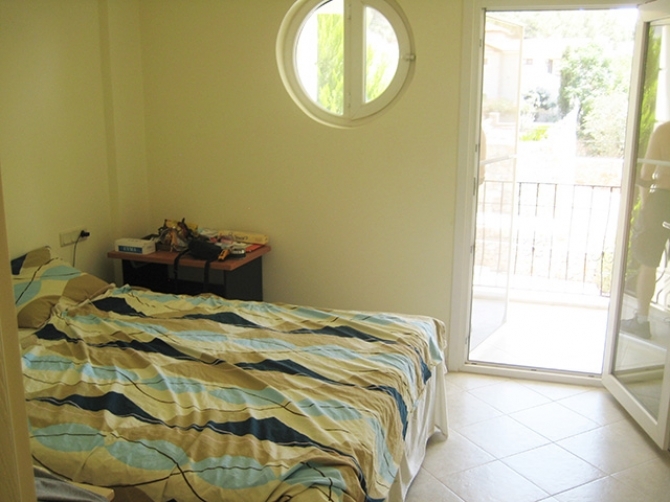 Two of the bedrooms have private balconies overlooking the swimming pool and garden. There is a family bathroom on this floor, with a walk in shower and cabin. The villa sits on a large plot, which has mature landscaped gardens surrounding a large swimming pool with roman steps, to one corner a built in traditional BBQ and secure driveway. 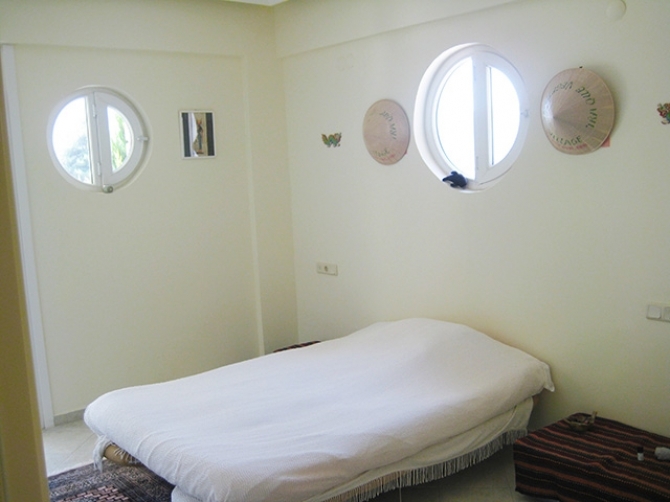 The pool has a large tiled sun terrace and beautiful views of Uzumlu. 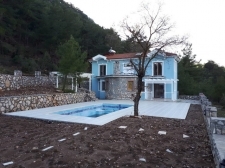 This villa is located a short distance to Uzumlu village, which is traditional and idyllic and has all amenities to hand. Fethiye Harbor is a 20 minute drive away.